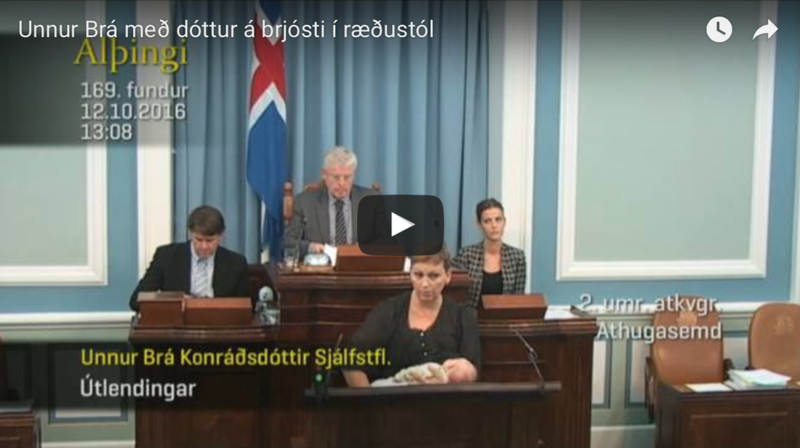 Unnur, the chair of the Icelandic Parliament’s Judicial Affairs and Education Committee, spent about a minute on Wednesday addressing her colleagues, who appeared unfazed. The debate, focused on immigration issues, continued as usual after she finished speaking. Unnur says she has brought her daughter to work several times since she was born six weeks ago, as shown in several photos on her Facebook page.